It still has some engineering work scheduled but this is fairly close to what it will sound like. The mastering process will also add some polish. 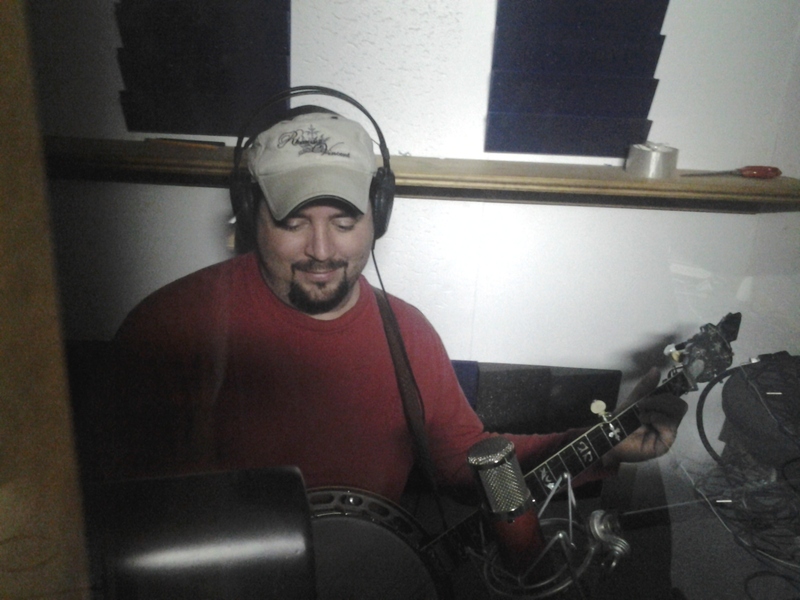 The picture above was taken as Aaron McDaris actually played his part on the recording using the banjo that Sonny Osbourne used on the original recording of Rocky Top in 1967! The banjo part is occasional and subtle but is still a very important part that keeps the song chugging along. 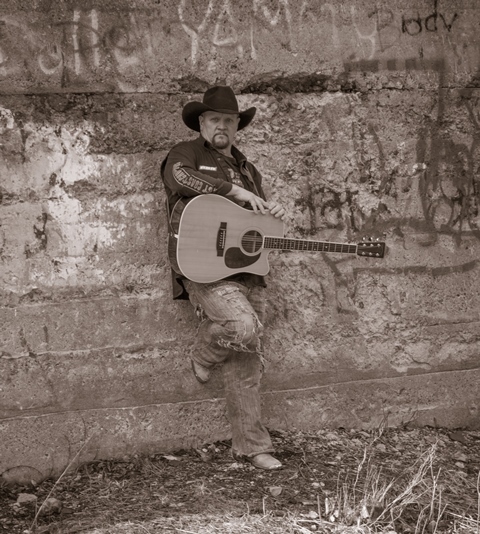 “Dan Thompson is singing and playing rhythm guitar. When He wrote Rednecks Do It Like That the original hook line/title used a word that rhymes with “it” but might have limited potential radio airplay. Just as I was about to mention to Dan that maybe we should reconsider using a “swear word” repeatedly throughout the tune that might limit its appeal, Dan realized the problem and rewrote it replacing the word with “it”. I recently discussed the subject of the current state of country radio airplay yesterday with a friend who’s well connected with radio programmers and the powers that be on Music Row. These days song after song is about the same few subjects, “Why is that? I asked.” What they related, is that basically, due to a few monster hits, if a song isn’t about pickup trucks. tailgating out in the woods, tractors, rednecks, mud. etc. people are afraid to cut it, fearing it won’t be a hit. So Rednecks Do It Like That doesn’t break any new ground in that regard, but rather, aims right at what country has become in 2014- b. e.